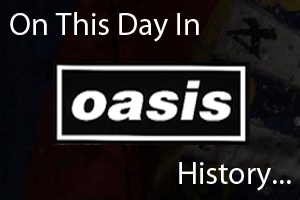 On August 26th 1995 Oasis played the third of four dates at the Garden Hall in Toyko, Japan. Listen to a bootleg of the gig in the video below. On August 26th 2008 Oasis played the first date of the 'Dig Out Your Soul' tour in Seattle, USA.